Direct: Travel by road from Chiang Mai to Kanchanaburi. Via Ayutthaya: Travel by train or road to Ayutthaya, and from there take local bus services to Kanchanaburi. Via Bangkok: Travel by train, plane or bus to Bangkok, and then take a bus or a train from Bangkok to Kanchanaburi. The only way you can travel direct from Chiang Mai to Kanchanaburi is by bus. 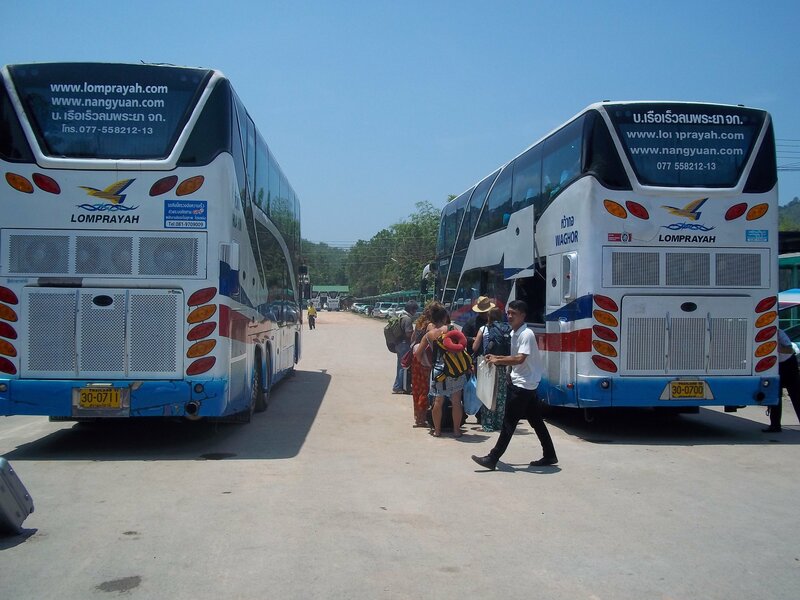 The Sasanan Transport Company operates three direct bus services a day all the way to Kanchanaburi. The journey by bus is scheduled to take 12 hours 00 minutes. All bus services have an on board toilet. For train tickets from Chiang Mai to Ayutthaya change the destination to ‘Ayutthaya’. 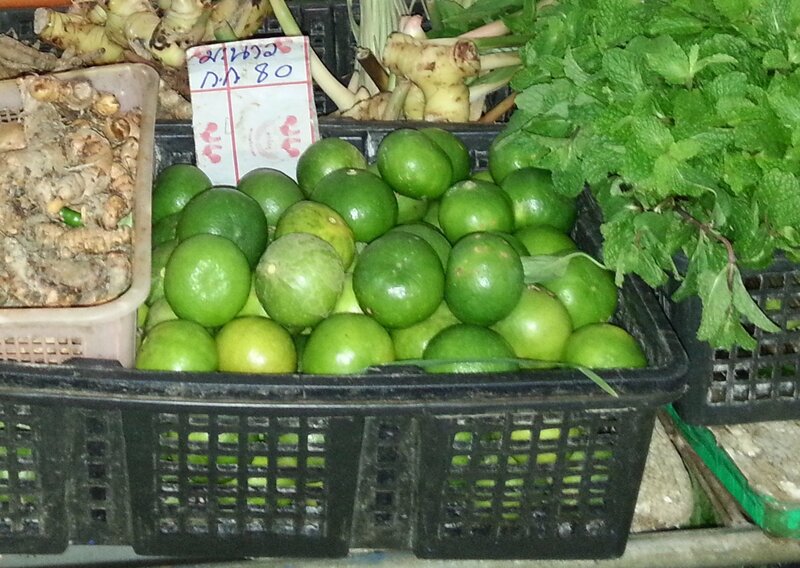 For cheap flights from Chiang Mai to Bangkok change the destination to ‘Bangkok’. For bus and minivan tickets from Bangkok to Kanchanaburi change the starting point to ‘Bangkok’ and the destination to ‘Kanchanaburi’. Train tickets from Bangkok to Kanchanaburi are only sold at Thonburi train station. For local bus and minivan services from Ayutthaya to Kanchanaburi buy these at the station before you travel. The most direct way to travel by train from Chiang Mai to Kanchanaburi is to travel to Ayutthaya and then change to local minivan and bus services for the journey from Ayutthaya to Kanchanaburi. The best way to explain how to do this journey is to break it down into three stages. There are 5 direct trains services a day from Chiang Mai to Ayutthaya. See more information about train travel from Chiang Mai to Ayutthaya. The next stage of the journey is by minivan from Ayutthaya to Saphanburi bus station. The journey takes around 1 hour 15 minutes and costs 70 THB per person. Public bus services to Kanchanaburi depart from Saphanburi bus station every 20 to 50 minutes throughout the day. The journey takes around 2 hour 30 minutes and costs 60 THB per person. The arrival point is Kanchanaburi’s main bus station (see above for a location map). If you are flying from Chiang Mai to Bangkok via Don Mueang then the easiest way to travel from there to Kanchanaburi is take a minivan from Morchit Bus Terminal. Minivan services from Morchit Bus Station to Kanchachanaburi depart every hour from 08.00 to 17.00. From Don Mueang Airport take Airport bus A1 to Morchit Bus Terminal Bus A1 departs from in front of the main exit of the arrival terminal of the airport and terminates at Morchit Bus Terminal. The journey takes around 30 minutes and costs 30 THB. See more information about how to Travel from Bangkok to Kanchanaburi. 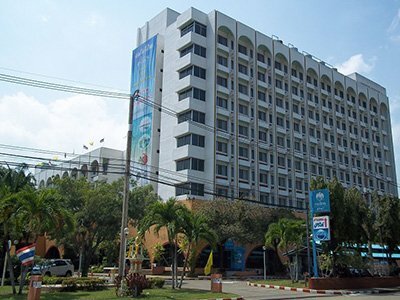 There are lots of things to do and see in Kanchanaburi town and in Kanchanaburi province. The town itself is a pretty laid back place although the area around the famous bridge gets busy during the daytime with day trippers from Bangkok. However, in the evening the riverside away is a pleasant and relaxed place to be and a sunset walk along the riverside is a recommended activity and its free. 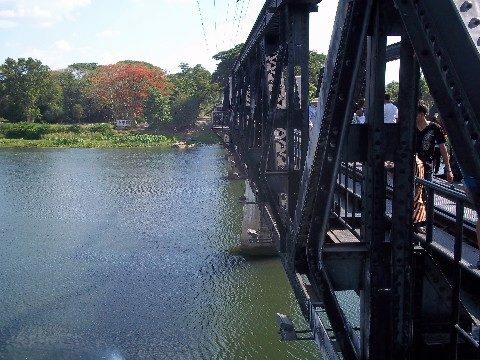 Visit the Bridge: Made famous by the film the ‘Bridge over the River Kwai’ you can walk over this old streel railway bridge. The real story of the Bridge over the River Kwai is not the same as the one portrayed in the film, but a visit to the bridge is a pleasant excursion because the surrounding area is very beautiful and there is a great Chinese style temple on the river back. Explore the JEARTH War Museum: The World War 11 & JEARTH War Museum is very close to the bridge. This museum has many displays relating to the horrors of the Japanese concentration camps, and also some interesting Thai artefacts in the adjacent Wat Chai Chumporn temple. This museum is poorly organised but very interesting. War Cemeteries: Many people come to Kanchanaburi because they lost relatives in the Kanchanaburi area during World War II and a visit to the cemeteries can be a moving and sombre experience. The war cemeteries are very well kept and there are several dotted around Kanchanaburi with thousands of graves of Allied Soldiers. The most easily accessible war cemetery is Chung Kai War Cemetery, which is on the main road opposite Kanchanaburi train station.